Jan. 8, 2017 - PRLog -- The 'new £1 coin' received significant TV and press coverage at the weekend, as the new twelve-sided pound coin will be with us in March and the old one will be gone by October 2017. But this makes me wonder whether UK Plc has failed somewhat in expediting the move 'away from cash'. Could HMG have been a little more pro-active – or even assertive – in a UK move towards electronic money? 30 years ago, my first employer (a major Bank) explained that cash would soon disappear; and lots of essays in banking exams required us to understand how soon 'the end of cash' would come. Things got even 'hotter' in the mid-80s as debit cards became vogue (and maybe you too can recall the UK Switch-card promised the 'death of poor old cash' in big 'prime-time' TV adverts and major poster campaigns. Some countries now cheer their governments for their efforts to remove cash and the drop in Money-Laundering that ensued – where Norway leads Scandinavia in seeing cash used by only 6% of the population. Less cheering though in India (amongst others) where the government has removed most of its notes from circulation to fight the money-laundering curse. 1. Contactless-card usage that was only 'rescued from the grave' by the need for them and active partnerships in tube travel in London with TfL (Transport for London) – and in other cities too. 2. ApplePay / AndroidPay losses being transferred to the merchants and away from the banks and Card Schemes; making cash relatively more attractive to merchants. 3. A new regulator – the PSR (Payment Systems Regulator – a part of the FCA) – that may be making it easier for cash to 'splutter-on' way after its predicted demise. 4. No strong demand by consumers for cash replacements or levels of desire to chase new solutions to cash in their pockets. 5. No strong endorsement by the UK lawmakers to set the agenda for digital currencies after various reviews by HMG over the last two years. As the Royal Mint issues these new 'old' coins, should we expect them or the Treasury and/or other parts of government to also have an aggressive strategy to move us to become less dependent on cash. And as part of this, should government not look for the detailed actions that will help to deliver less cash and to encourage the introduction of innovate and easier solutions for you and me as customers to use. Life could be much easier for us. Banks, retailers and the Royal Mint could remove cash processing costs too (that we ultimately have to pay and we could wipe out many of the cash-based crimes and money-laundering. 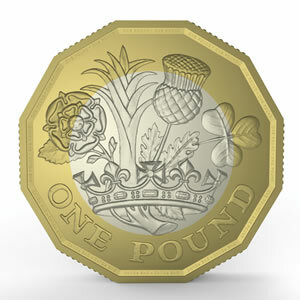 'Someone', 'somewhere' should be steering us away from cash even as we forge-ahead with this new 'old money'. Author Bill Trueman is an eminent payment, due diligence, risk & fraud expert who provide his consultancy services to card issuers, banks, corporates and business organizations all over the world. He is chief of RiskSkill, UKFraud and member of AIRFA.